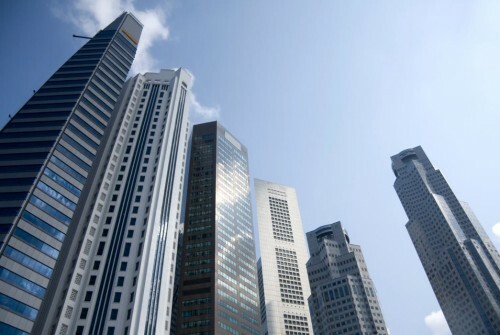 SINGAPORE - Most companies reported better productivity last year after sending employees for courses under the national training framework, but the proportion reporting that fell compared with the year before. The Singapore Workforce Development Agency (WDA) released these findings about outcomes of the Singapore Workforce Skills Qualifications (WSQ) on Thursday. In a survey of 7,100 trainees who completed training between April 2013 and March 2014, and 1,772 companies who had sent their employees for WSQ training, around three in four companies reported better work productivity and quality of services, but the proportion dipped from 2013. Meanwhile, fewer than half, or 48 per cent, of the companies reported improvements in sales and profitability last year, down from 56 per cent who did so in 2013. However, almost all companies said that their employees were able to perform more efficiently and effectively. Trainees themselves agreed, with close to 95 per cent of them stating they could perform more efficiently and effectively at work. Training did not have much impact on career progression. Just over one in 10 trainees reported being promoted after attending training, while 18 per cent said they received a salary increment. In a separate survey, the WDA found that a larger proportion of small and medium enterprises (SMEs) sent their employees for WSQ training last year, but the proportion fell among companies with over 200 employees. Among SMEs, 53 per cent of companies said they had adopted WSQ training last year, up from 52 per cent in 2013. For bigger companies, the proportion fell to 83 per cent, down from 86 per cent in 2013. The survey of 10,535 employers defined adoption of WSQ as either using it as a hiring requirement, sending staff for WSQ training, aligning in-house training courses to WSQ courses, or providing internships of practical attachments for WSQ trainees. More than three quarters of those surveyed said that they knew about the framework. WDA chief executive Ng Cher Pong said that the findings from both surveys "reaffirm the importance for companies to continue investing in training and developing the skills of their workforce". "The WDA will step up our support for these efforts through the various SkillsFuture initiatives that are being rolled out," he added.